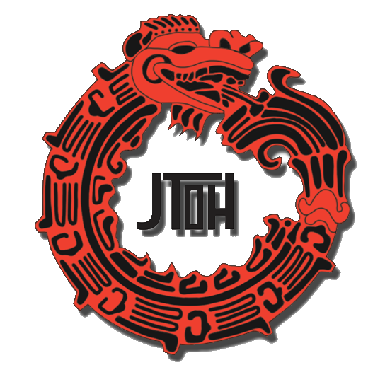 JTOH is one of the nation’s most innovative and unique multi-cultural educational programs. Sponsaored by Metropolitan State University of Denver (MSU Denver) Department of Chicano/Chicana Studies and Department of Africana Studies, our program partners college peer mentors with local high school students. Our goal is to engage students in a year long program that enhances the public school systems curriculum in the areas of African American, Native American Chicano/a, Mexicana/o, Mexican American and Latina/o Studies. The grand finale of the yearlong endeavor is an academic “knowledge bowl” between participating high school teams. Our Program also encourages all teams to participate in service learning projects throughout the community. Students have the opportunity to be part of the MSU Denver Mauricio Saravia Literary Journal and to connect with leading cultural arts and science institutions such as the such as the History Colorado Center, Denver Art Museum, Denver Botanic Gardens and numerous nonprofits throughout Colorado. Kitlapalojua (Welcome)! Journey Through Our Heritage (JTOH) is a program designed to create a kalpulli (community) which empowers MSU Denver students to become exceptionally accomplished mentors, focused on developing culturally experienced high school students through a yearlong endeavor. This is accomplished by Journey mentors commuting on a consistent basis to participating high schools and implementing study sessions, which are geared specifically to meet the standards of the Journey Through Our Heritage Program and its curriculum. Journey Through Our Heritage concentrates on bringing Denver and the Metro area high school students together, by participating in an academic competition that explores the distinct features of American Indian, Xikana/o, Mexicana/o, Mexican–American, Red Bone, African/African American, and Chicana/o studies. To enhance the culturally relevant curriculum, the students write college level essays and compete in jeopardy style exercise to enhance the intense and beneficial educational experience available to the students enrolled in the program.